When you are starting your own trucking business, there are many decisions both big and small that need to be made before you can haul your first load. This is the second in a six-part series covering the key financial considerations for starting your own trucking business. The licenses and permits needed to start your own trucking business fall into two categories, the first are those that are required to run a business and the second are those required to operate a truck and haul loads. Licenses and permits are determined at the state, local and national levels, so it is essential to check all necessary sources to ensure you are properly covered. The fees to obtain the various licenses and permits you will need will vary and could add up and are often not one-time fees, as they will need to be renewed at various time intervals. 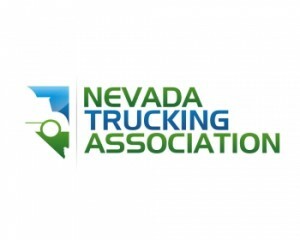 Below is a list of some of the more common licenses and permits required for trucking owner-operators and small fleet owners. Register your business:Depending on how you operate your business and what your business structure is there could be registration requirements with your state and with the federal government. Additional information about registering your business can be found on the US Small Business Administrations site https://www.sba.gov/business-guide/launch-your-business/register-your-business. Federal Tax Identification Number also referred to as an Employer Identification Number (EIN):The EIN number identifies the business and is required for things such as opening a business bank account and can be needed to acquire certain licenses and permits. Additional information about Federal Tax Identification Numbers can be found at https://www.irs.gov/businesses/small-businesses-self-employed/employer-id-numbers. A USDOT Number:The Federal Motor Carrier Safety Administration (FMCSA) requires companies that haul cargo in interstate commerce to obtain a USDOT Number for collecting and monitoring a company’s safety information for audits, compliance reviews, crash investigations, and inspections. Additional details on USDOT Numbers can be found on the FMCSA site at https://www.fmcsa.dot.gov/registration/do-i-need-usdot-number. Operating Authority (MC number): Your Operating Authority indicates the types of loads you haul and your businesses type of operation. Depending on your business objectives you might need more than one MC number. Additional information about Operating Authority can be found on the FMCSA site at https://www.fmcsa.dot.gov/registration/get-mc-number-authority-operate. 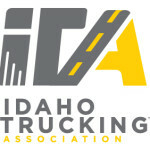 Commercial Drivers License (CDL): For anyone who plans to operate commercial vehicles a CDL is required. There are three classifications of CDLs depending on the type of vehicle you will be driving. To obtain a CDL, you must not only pay a fee, but you must also pass skills and knowledge testing. Your home states Department of Motor Vehicles would be the best place to start to get additional information on obtaining a CDL. It is essential to do your homework and determine all the necessary licenses and permits you will need to start your own trucking business. Make sure you check and double check with all the necessary departments and agencies at the town, state and federal levels.